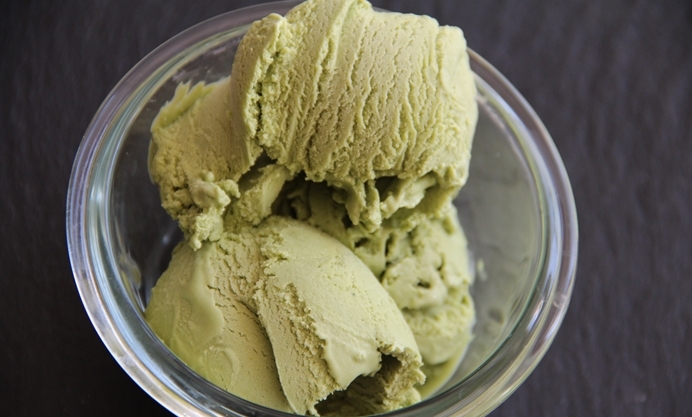 If you’re looking for a summer dessert to end a Japanese meal or some sushi, try this rich green tea ice cream. Rachel assures us you’ll only need a small scoop, but you can indulge in more if you like. Sushi is one of my favourite foods. I’m definitely not the only one. The raw fish phenomenon has been taking the world by storm for years. Driving through rural New Zealand earlier this year, when we passed through a town ready for lunch the options were: 1. greasy roadside diner 2. sushi. Slowly but surely sushi is taking over the world. I ate my first sushi when I was 10 years old in a restaurant called Wakaba opposite Finchley Road Tube station. It recently closed, before reopening with tanning adverts underneath the original restaurant sign. I know because I live nearby and it makes me sad to see the reinvention of one of the original London sushi restaurants. But there we are. The only thing that I crave after I’ve eaten sushi is a little something sweet. 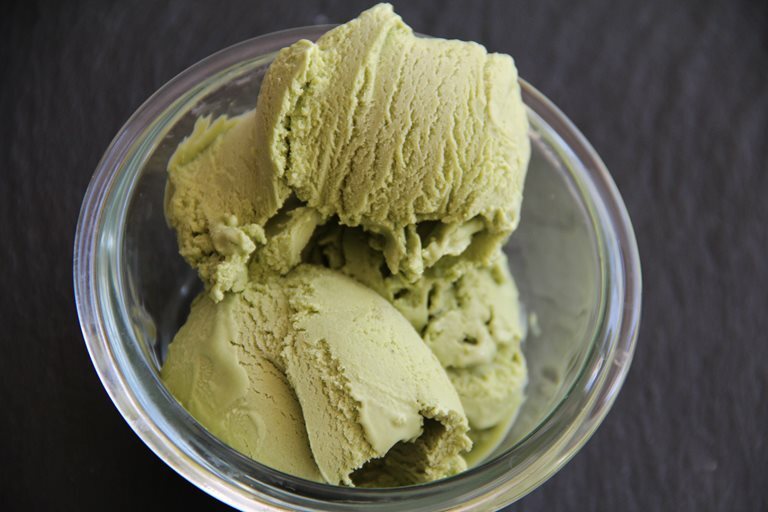 Inspired by the amazing ice cream selection at Sushi Say restaurant in Willesden Green, I started making wasabi and green tea ice creams after my sushi classes as a little something to finish the meal. Plus I’m also in love with my ice cream maker. So here’s my recipe, adapted from David Lebovitz’s wonderful book, The Perfect Scoop. It’s quite a rich ice cream so you only need a little spoonful to balance out the meal, although you can have lots more if you like!